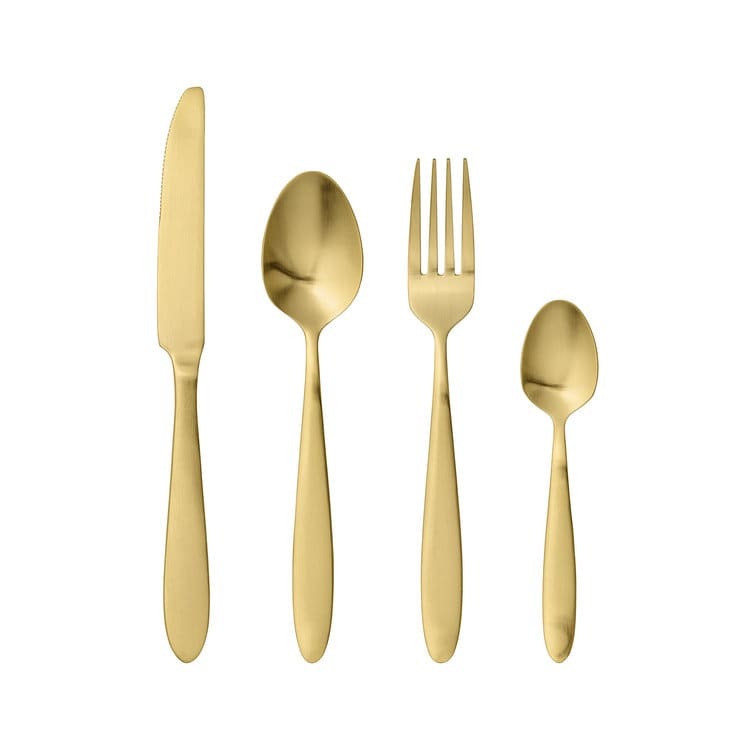 Stylish set of gold cutlery. Designed in Denmark by Bloomingville. This set includes 1 knife, 1 fork, 1 dessert spoon and 1 tea spoon. Care: This product is not dishwasher or microwave safe. Do not clean with scourers.